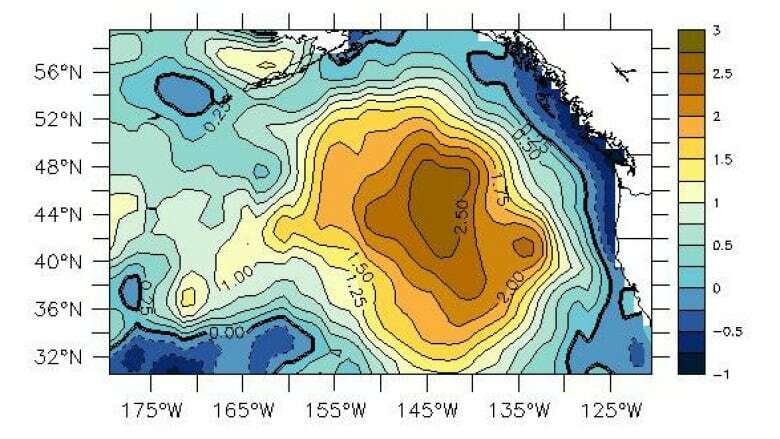 The so-called 'warm blob' of water in the North Pacific has brought unusual plankton, which lack the nutrients wild salmon and other marine animals count on. A University of Victoria oceanographer studying the so-called "warm blob" of water off the B.C. coast has observed unusual, "squishy" visitors from the south — and that could be bad news for young salmon. 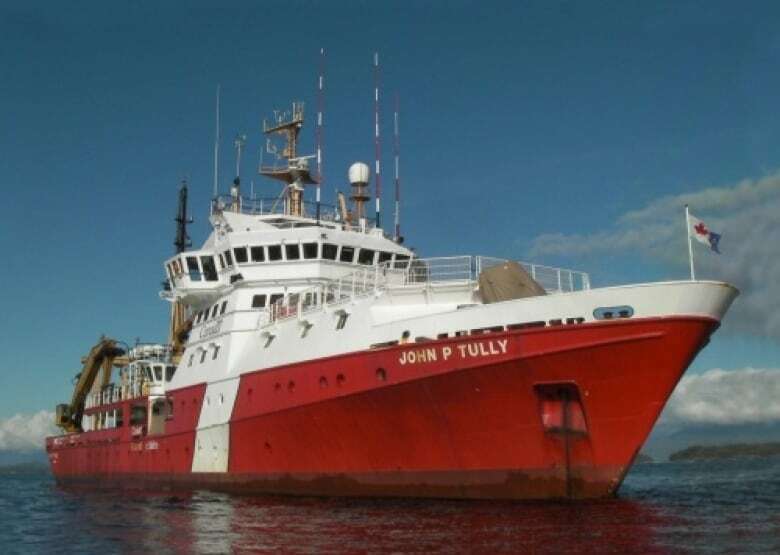 John Dower, who just returned from a research cruise north of Vancouver Island, said he saw remarkably high amounts of tiny animals called zooplankton in the "blob," a huge mass of ocean water about 2 degrees warmer than normal. And the varieties he saw are normally found off northern California — not Canada. "These are really not very good food for most of the species that normally rely on plankton," said Dower. Young salmon rely on zooplankton for food — but the jelly-like species that seem to be thriving in the warmer waters have much less nutrition than the normal cold-water species. Dower and other researchers have been concerned what might be happening to the important food source as the water off the B.C. coast has warmed over the past year and a half. "We were quite keen to get out here and see what was going on," he said. "One way to think about plankton is you've got your crunchies and you've got your squishies"
The species that usually dominate in colder water tend to be "crunchies," he said: krill and other shrimp-like animals that are high in nutritious fatty acids and oils. "What we're seeing is a lot of [squishies], gelatinous types of zooplankton, and they're not nearly as nutritious as the normal species of plankton that we find off the coast here." Dower worries what the change will mean for juvenile salmon heading out to sea, as well as other sea birds and marine mammals. "It makes us start to wonder what it's going to mean in terms of their ... growth and survival this coming year."